All of us have heard of it, and all of us have experienced it, from time to time (but never enough, it seems). It's special and wonderful and elusive--and no, it's not fame or fortune. What am I talking about? It's something I've often heard called the Hot Zone, or just the Zone. It's a feeling, or a state of mind, that we as writers are sometimes able to achieve, and when we're reached it our ideas seem to blossom and the words seem to flow and the whole world just seems right. When we're in the Zone we're invincible, unstoppable; we can do no wrong. Author Carolyn Wheat once said, "Getting to that state, and staying there for as long as possible, is the key to writing success." I used to play a lot of golf, and even though I'm weary of sports analogies, I can still recall the warm and weird "feeling" that came with the confidence of sometimes knowing, during a swing, that the ball was going to go exactly where I wanted it to go. (That feeling was rare, and many of the balls I hit have never been found--but when the sensation was there, it was exhilarating.) The same thing happens occasionally during other activities, including some of my writing sessions. But I was serious when I said it's elusive. Ariel Gore observed, in her book How to Become a Famous Writer Before You're Dead, "Where do I go to write a story? I don't. I just sit here, waiting and waiting and waiting till the story begins to come to me. Then I sit very, very, very still and try not to scare it off. If I grab at it, it might run under the sofa and hide." John Simmons, in a piece he wrote for Writers & Artists, said, ". . . When I'm in that zone, I'm not always aware of it. It's a wonderful feeing when you realise afterwards that you've been there. I think it's part of the addiction of being a writer." "An athlete has her training schedule, the date of the event stamped in her mind, the excitement of the crowded stadium to trigger her best. An actor has his script, his rehearsals and, when it matters, the glare of the lighted stage. The writer has nothing. Hence all the mad little rituals we hear about, having to use a 4H pencil, a Moleskine notebook, having to be in a particular spot, in a certain room, at exactly this time of day, drinking this kind of tea, smoking this brand of cigarette. All desperate attempts to propitiate inspiration, to have ordinariness and originality somehow intersect." -- Tim Parks, "The Writer's Zone." "The runner's zone is a situation that occurs when you have run for a long time, and your body finds a 'place' where it hits its peak performance. Your body synchronizes your breaths and moves more efficiently. When a writer gets in the zone, inspiration, imagination, posture, keyboard command, focus and concentration, and even the perfect amount of emotion all settle in, making us type much faster, make fewer mistakes, automatically correct the mistakes we do make, and essentially enter a supercharged writing mode." -- Scott Kuttner, "How to Find the Writing Zone and Stay There"
It even got mentioned in the current crime novel I'm reading (Home, by Harlan Coben). The book's protagonist, former NBA star Myron Bolitar, is watching his nephew play basketball in Myron's old high-school gym, and Coben says, "You could see it right away. The greatness. Myron studied his nephew's face and saw that look of what they called 'being in the zone,' focused yet relaxed, on edge yet laid back, whatever terminology you wanted to use, but really it could all be summed up in one word. Home. When Mickey was on the court, like his uncle before him, he was home." The big question, then, is how do we writers ensure that we reach this mystical place, often and regularly? Well, everybody has different ideas about that. Peter Shallard, in his article "Psychological Tips for Getting in the Writing Zone," said, "Hardly anyone knows how to get in the zone to produce top quality written material. This is about having the state of creativity (or productivity, or whatever is relevant) on tap . . . ready to go, whenever you need it." So how DO we find our way into the Zone? 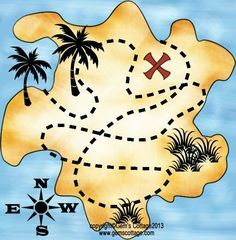 As always, most treasure maps are false, or at least misleading. I've found that some of the "hints" we're given in how-to-write books are maddeningly vague: clear your head, breathe deeply, meditate, find your rhythm, leave your troubles behind, etc. That kind of advice is no help to me--or, I suspect, to anyone else. Of course we need to clear our heads of everything except writing, in order to do our best work. But how? The following is one of those "do as I say" lists, rather than "do as I do," since I don't seem to be able to make myself obey these rules. But a lot of my writing friends swear that these are the things they do to increase their chances to reach (and frolic in) the flowery meadows and bubbling fountains of the Writing Zone. 1. Write in the same place every day. This could be the desk in your home office, a recliner in your den, a chair on your sun deck, a swing in your back yard, or anyplace that just feels "right" and comfortable. But let's face it, most writers have schedules that make this hard to do, at least for any length of time. For some, it might be a seat on the commuter train to the office and back. Whatever works. 2. Write at the same time every day. This is another rule that, for many of us, might or might not be possible. If your daily routine allows it, I can see that it could help. And I've heard that the time should be early in the day rather than late, because our minds are fresher before facing all our daily non-writing problems. Again, if you can do this, fine. Since I'm a night-owl anyhow, most of my fiction is produced in the wee hours (the midnight zone?) --but I don't assign myself a time slot. I can, and do, write pretty much anytime, and anyplace. 3. Surround yourself with encouraging/inspiring sounds. Many writers say they require a certain kind of music during their writing sessions; others prefer a busy public place with people-noises, like a coffeeshop or the food court in the mall--or a city park with the soothing sounds of birds and traffic and laughing children. I even know writers who use white-noise machines or tapes of rain on the roof or of seagulls and the surf. What I prefer, like Simon and Garfunkel, is the sound of silence. I'm not a solitary person, usually: I like to have things going on around me. But when I write, I want it quiet. If I had to assign percentages, I'd guess that at least half my writer buddies make a sincere attempt to follow the three rules I mentioned. And I say More power to 'em--if that helps, do it. If I did it, I might create better stories, or at least create them faster. But we all have our own methods, and I've been fortunate enough to somehow reach that strange and hypnotic plateau pretty regularly without knowing for sure how I got there. What do you do, to maximize your writing efficiency/productivity? Is this "zone" state of mind something that happens to you often, or seldom? Do you write in the same location every day? Same time(s)? Do you listen to classical music while you work? Jazz? Rock? Country? The sounds of nature? The Mystic Moods Orchestra? And by the way, sincere congratulations to my old friend and fellow SleuthSayer O'Neil De Noux, for being nominated earlier this week for a Shamus. Well done!! Love all the quotes, John. And all the tips, from drinking a certain type of tea every day to writing in the same place. It is hard to get in the “zone” sometimes because the phone rings (even if it’s just a lousy telemarketer it’s disrupting), e-mail and FB beckon and all kinds of other things. I also prefer to write in silence, but I mostly don’t…because I want something to block out extraneous outside noises and I live in a pretty quiet, semi-rural place. I also generally tend to write at night these days. And I like writing at my home office desk because everything is close at hand. I don’t drink tea, but I like to have a diet cherry Coke or Pepsi, probably for the caffeine. In the old days I loved to chomp on Red Vines while I wrote. I think they served the same purpose as a cigarette to a smoker. Chewing them gave me something to let off nervous energy. Unfortunately, I can’t really do that one anymore. I listen to music often when I write, but not just one kind. My standard background music is baroque, because I like it and because it’s unobtrusive, and AOL Radio has a terrific baroque station by the way. I also listen to rock or swing or other things, depending on what I might be writing to both block out outside sounds and get me in the mood for the piece I’m working on. But, as you say, it’s really hard to get in the zone but once you do you’re golden. A very sensible piece. Like you I think the Muse is courted with habit. Please add my congratulations to O'Neil, too! Good post, and I agree - it's very important to maintain habits. Which I'm trying to get back to after moving... Every day, in every way, I'm getting more and more organized! Now to go crazy a little! John, the "zone" is why I keep doing Callie Parrish books. When I work on her mysteries, it's like she just comes through and the ideas and words fly as soon as I open the computer. With other works, the zone comes and goes. I'm asked about those three rules frequently in Q & A sessions. I cannot lie (well, I could, but I won't). I do tend to write in the same location if we're talking about at home, but that's just because of the location of the computer I generally use. When my grandson was younger, I sometimes wrote on a laptop at Chuckie Cheese or at the park. Time? Very early or very late. Depends on what I'm writing and how motivated I am. So far as rule 3 is concerned, anyone who can write at children's amusement centers doesn't need soft music or white sound. Actually, I frequently write with Chuck Berry recordings playing loud. I know them so well that they blend into the back of my mind blotting out routine daily sounds. I advise new writers to do whatever works for them, and, John, most of us would follow any rules you suggested if they made us as successful with stories as you are! I stay in the zone as I write my novels. Once I get going I keep the story and characters in mind, follow the characaters around and listen to what they say when I'm away from the computer. The NOTES app on my iPhone comes in handy as I'll repeat character conversations to transcribe later. I used to be a late night person like you but I seem to concentrate better in the morning. Music - yes. Rock and roll, often with headphones. Biggest interruptions - the internet and cats. But I manage to get things written. PS: Thanks for all the congratulations. Paul, you have offered plenty of suggestions here. The caffeine boost is something I wouldn't have thought of, but there are certainly times when that helps. And you made a good point: some of the things we did in "the old days" to court the writing muse no longer seem to work; yet another thing that changes, I guess, as we grow older. One thing that I forgot to mention is that when one writes late at night, it automatically cuts out a lot of outside noises (passing cars, lawn mowers, etc.). Thanks, Janice. Yep, habit seems to be the overriding thing here--if it's familiar, it's comforting, and if it's comforting it's helpful. Eve, I would imagine your writing schedule isn't the only thing that's been disrupted during this move. Glad you're finally settled in. Hey, maybe you'll write something about the move itself--anything that trying and stressful can be story fodder. Fran, I can understand how sitting down to work on a new novel in a longtime series can be calming and relaxing (and inspiring). I feel the same way when i write my little shorts about recurring characters. Again, it's the familiarity, I suppose, and also the memory that these characters have already been successful for you--that cuts down the doubts and uncertainty, right there. I gotta give Chuck Berry a try, by the way. Thanks for stopping in, here!! Thanks, O'Neil. These characters in stories/novels do stay on our minds all the time, don't they? I too have used the NOTES app now and then; since I don't carry a notebook or journal around with me, the phone comes in handy. And yes, you darn sure manage to get things written. This Shamus nomination is well deserved!!! Oh, that zone, John! I wish it was always there. The trouble is, a professional author has to write even when they can't find the zone. Here's what I say: Writing is work. Hard work. Some days it doesn't feel like work, and those are the day we live for. Melodie, you're always so upbeat, I figured you must LIVE in the zone. And yes, sometimes it's necessary to write whether we feel like it or not. I like your observation about writing being hard work, but that sometimes it doesn't seem that way. I sure can't think of any kind of work that can be so much fun. Someone once said we need only to look to Shakespeare to see what writing really is: his plays were works, his works were plays. The Zone is a place I don't visit often enough, but I certainly recognize when I'm there: The complete story is in my head, I can't type fast enough to get it all done, and I write straight through to a finished draft that may or may not need a bit of tweaking (beyond the usual proofreading) when I finish. But even when I'm not clearly in The Zone, I'm often in its neighborhood: ideas come and random scenes flow. But then, as Melodie mentions, comes the hard work of taking all those bits and threading them together. Although I have a preferred writing location--my home office--I've written in many places under a variety of conditions, at all times of the day and night, and using all manner of writing utensils from pen and paper to computer to cellphone. Zone or No Zone, whether the words are flowing or they have to be pushed out, you're not a writer if you're not writing. Michael, like you, I have the whole story in my head as I type. Unlike you, my finished draft always needs a lot of tweaking. And, as you said, I usually recognize that "state of mind" when I'm in it, and I try to prolong as much as I can the time I spend there. I found the quote by John Simmons interesting, because he says he doesn't always know when he's in the zone but always recognizes afterward that he's been there (probably when he sees the quantity and quality of work he's managed to produce). And I agree with you completely: whether you're flying high or running on empty, if you're a writer you have to keep writing. Thanks much for the note. I always learn something from your observations. Much good advice here. I like to write early in the morning when there are few interruptions. Like Paul I work in silence so I hear the words in my head as my fingers touch the keyboard. Personally, I don't think I'm meant to be in the zone from beginning to end of a project. I define the zone as the point when writing flows most freely. I always have to work my way up to it, and I find I also have to look later, more practically, at whatever zone writing I've done. But zone writing is desirable with any project. It's when whatever I've imagined/concocted feels most real and clear to me, and that helps me hone the project's realism overall. I recently revised the opening 60 pages of a twenty-year-old aborted novel into a contemporary five-page short story. I got into the zone writing the story, but it was rejected. I didn't expect to get back into the zone revising it, but I have. And it'll be a pleasure to add any new details I can come with until I submit the revision elsewhere. Hey Jacqueline! Thanks for stopping in, here. Gerald, that's interesting, about the 60-page to 5-page makeover. And I love your comment about getting "into the zone" only during the rewriting-after-rejection phase. Hope springs eternal. Thanks, Bonnie. Yep, sometimes we wander in the wilderness looking for this place, but--as you said--we usually know it when we get there. And yes, the magic makes it all worthwhile. It's a great feeling. Hey, writing is a crazy pastime, and certainly a crazy profession. I came across a discussion on a blog on creativity--not quite the same thing, but in the neighborhood, as Michael said. Fascinating, because the participants ranged from writers to chemists to code-writers to mathematicians to somebody who worked in solar panel design, yet they had many habits in common. One was being tired opened their minds to ideas, so they consciously exercised first or planned to work later in the day. I think this is because coming up with new ideas is in a way like brainwashing--something new has to push its way in--easier when you're tired. A second was what Melodie mentioned, being able to see the entire project before they began. This seemed to be true of all the code-writers. I can't even imagine that. One thing I took from it was to think about what part of my writing works best when. Plotting works best when I'm a little tired. Dozing off, waking up again--in those minutes one can think anything. So I try for Thomas Edison catnaps. Another is that I can write violence/action scenes any time, anywhere, usually in a single take, but dialog will take FOREVER. So when I have on-the-run time, I write action. When I have dialog I shut the door on the world. I do find that the plotting machine in my mind works best when I'm exercising. I try to walk a few miles every day (today I mowed the yard instead, in the @#$% rain), and I've noticed that if I have plot problems before I start my walking (which is, I guess, my plodding machine), I usually have the plot stuff worked out by the time I finish. And, like you, I take a long time to write dialogue, but I also find it the most fun to write. Different strokes . . . I used to take long walks too when we had dogs. Thanks for reminding me. I must get back into that. Wenda, they say exercise releases endorphins that interact with receptors in your brain, and also trigger a pleasant, positive feeling (sounds a little like "the zone," doesn't it?). Whatever the case, I do know these daily tromps around the neighborhood help me think through storyline problems. The only trouble is, our humidity here's usually around 90%. Alas, I only have the entire story in my head when I'm in The Zone. Usually, I just have a scene or part of a scene. My process is similar to that of your friend who "never rewrites." I try to ensure that what I write is clean as it comes out, going back to rework what isn't as I'm writing, so that the first full draft is usually close to the final draft. Part of the dilemma in discussing rewriting is that we all seem to have different ideas about what constitutes rewriting. Once I have a full draft, I may revise a few sentences and rework a few paragraphs, but I rarely rearrange, add, or delete scenes. The bones of the story are in place, as is the body. Mostly what I do to a ms. after I have a full draft is akin to fixing its hair and applying a bit of make-up before shoving it out the door. Thanks for the clarification, Michael. Our rewriting processes actually sound pretty similar--I polish sentences and a few paragraphs, but very rarely add or delete scenes. One of the advantages, I guess (as you said), of mapping things out fairly well before we start writing. BUT it still sounds as if I have to revise more than you do. As Bonnie mentioned earlier, the real trick is to know when to stop the rewriting, and send your baby out into the world . . . Excellent words, John. Thank you for the insights. I found many of your comments about getting into the zone are similar to those for having a daily quiet time with the Lord. Having the same place and time brings one into a "holy" time just by entering the space. I haven't written enough but look forward to the time when the same is true for getting into the writing zone. Good to see you here, Bill--many thanks! Yep, I guess being in that state of mind applies to all kinds of endeavors and activities, and anytime you feel relaxed and content and "comfortable." And by the way, you HAVE written a lot; I just want to see you write more. Also, I'm still waiting on the sequel to your book. Hint, hint . . .
by Mihaly Csikszentmihalyi. The book is about 30 years old, but I remember using it to help my creative writing students with decent results. Another is The Care and Feeding of Ideas by James Adams. Sadly, I no longer have copies of either, but they amplify several of your points here. Considering your prodigious output, something definitely works, no matter what you call it! Steve, many thanks!! I'll check for both of these on Amazon. Some of those older books on the writing/creative process seem to also be the best. Tom Sweeney once said that on rereading, he usually finds no qualitative difference between what he's written in bursts of inspiration, ie in the zone (I forget exactly what expression he used--it was more than ten years ago), and the stuff he's had to push out painfully word by word. I've found that to be true. The difference is more in how we feel during the act of creation than in the product itself. Putting on my shrink hat for a moment, I'll add that that's true of any "high." As for how I get there, I just read Margaret Maron's blog post about ending a series on Janet Rudolph's Mystery Fanfare. Maron talked about how the memorable Judge Deborah Knott came to be: "She just walked into my head running her mouth and wouldn't shut up." 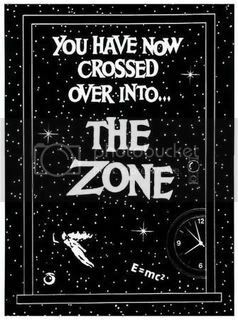 That's the way my enduring series characters have come to me, and when they start talking in my head, I know the zone awaits. It doesn't happen when I'm sitting with fingers poised over the keyboard, though, but usually when my hands aren't free. I too find the Notes on my iPhone useful, pulling over to the side of the road or tucking my walking poles under my arm and getting to the nearest park bench so I won't miss a word they say. For me, plot is a struggle, but not dialogue: I'm just channeling those people in my head. Liz, I think most of what Tom Sweeney said was always helpful, at least to me. I met him in person only once, and found him both wise and delightful. And I certainly defer to his knowledge, and yours, on the subject of the quality of what we write when in and out of the "zone." I think you and he are right: there's probably no difference, in the long run--it's just that some of it takes less time and effort to produce. And I certainly agree with you on the joys of writing dialogue. Yes, I too hear these folks talking in my head. Like all cars, mine has a radio. Mine, however, is never turned on. I drive in silence. My driving time is when I think about whatever I'm writing at the time – or massage a story idea I'm going to write. I develop characters in my imagination, let scenes play out in my mind, work out plot twists, all while getting from one place to another. On a good day, I'll steer into a writing zone and when I get to my laptop, whatever I need to write flows easily. Of course, even though I'm driving in a writing zone, I also have to concentrate on things like speed limits, red lights, stop signs, and other cars. Fortunately, while I admit to missing a turn or two, I've never hit anything or run over anyone. Not yet. It seems that any successful project depends on certain habits--writing every day, having a dedicated space, sticking to it no matter what. I've let my life fall into habits that help--meditating in the morning, walking in the afternoon. But then I vary things, but no matter what I do, I'm always thinking about the next scene I'm going to do. When I worked full time in an office, I learned to switch easily between job tasks to thinking about my WIP, even if only for a minute or two, so that when I got home in the evening, I was ready to write. I went straight to my computer and started writing. Sometimes I made a few notes during the day, but mostly I kept it all in my head. I know I'm in the zone during certain projects, and I just go along for the ride. It's a great feeling, and I've learned the trust the moment when it comes. Thanks, Earl! I do the same thing you do, when I drive. Rarely listen to the radio or the CD player because I’m working on plots. But I suspect everybody else on the road really is in danger at those times, from you and me both. Pay attention!!!! Susan, good to hear from you! You sound WAY more organized than I am, in your approach to all this. My WIPs get done eventually, but not because of any kind of effective schedule. Keep up the good work. Jeff, roommates/spouses/friends do have a way of asking questions and bringing up new subjects during prime "zoning-out" times. But if you've found you can function despite that and the TV and other everyday (or everynight) noises, you're in good shape. Thanks as always, for chiming in, here.